Can a City File for Bankruptcy? We tend to think of individuals and companies filing for bankruptcy. But there are other entities that can file bankruptcy—cities and counties. According to Fox News, the nation’s largest city could be on a glide path to bankruptcy. That’s right—the Big Apple, New York City, is so indebted that its only choice might be to file for bankruptcy protection. According to economists, New York City’s problem is an ever-growing pile of debt. Right now, the long-term debt held by the city comes out to roughly $81,000 per household. Even worse, the mayor wants to add another $3 billion of debt with the new budget. Being a spend thrift is not the sole reason the city is in trouble. It also relies on income from the state government in Albany. However, New York state as a whole is in terrible financial shape, it so it is expected to pare its contribution to the city in the upcoming year, which only adds further stress to the city’s budget. According to Peter Earle, an economist at the American Institute for Economic Research, the city could “absolutely” go bankruptcy and would need to file for protection to prevent its creditors from suing for payment. If New York City finds itself in bankruptcy court, it wouldn’t be the first city to do so. The largest municipality to ever file for bankruptcy was Detroit, which filed for protection in 2013. Detroit had an estimated $20 billion in debt that needed to be restructured. Creditors lost an estimated $7 billion because of the bankruptcy, receiving only about 14-75 cents for every dollar they were owed. Municipalities file for bankruptcy under Chapter 9, which is a special bankruptcy reserved for them. A municipality is a political subdivision such as a city or county, or a public agency, like a health care district. Interestingly, although a city or county can file for bankruptcy protection, a state cannot. The reason? 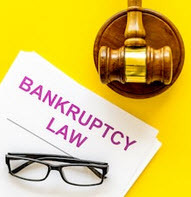 Bankruptcy is exclusively federal law, and there is no chapter in the bankruptcy code that allows a state to file for bankruptcy protection. Given the sorry condition of many state’s finances (think Connecticut and Illinois), a bankruptcy would be a great option for them. Unfortunately, it does not currently exist. If you are struggling with debt, a consumer bankruptcy might be right for you. Our clients typically choose between a Chapter 7 and a Chapter 13, which are very different. To talk about your financial condition, or to learn more about bankruptcy, contact Nowack & Olson today. We are a team of experienced bankruptcy attorneys representing South Florida. We can help get creditors off your back, allowing you to start over. Call us today, 888-813-4737, to schedule your free initial consultation.